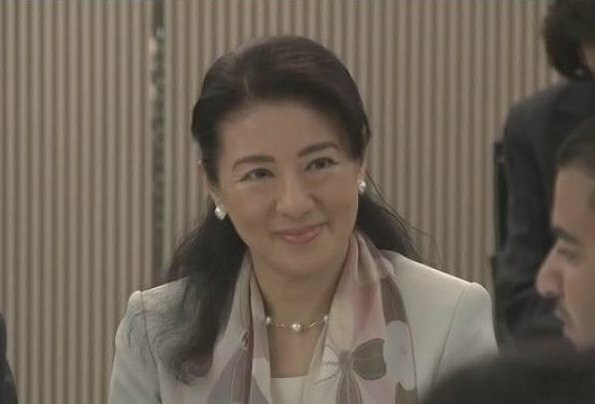 Crown Prince Naruhito and Crown Princess Masako attended the International Youth Exchange conference held at the New Hotani Hotel in Tokyo and observed the discussions by the participating youths. The International Youth Exchange (INDEX) Program is an interactive project started in 1994 in commemoration of the royal marriage of the Crown Prince. The Program aims to promote mutual friendship and understanding between Japanese youths and youths of other countries. 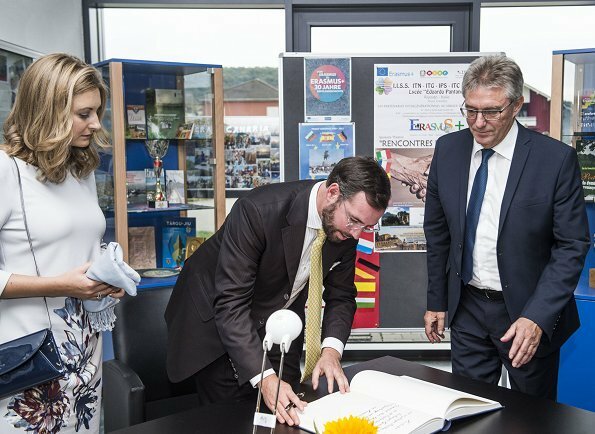 On September 28, 2017, Hereditary Grand Duke Guillaume and Hereditary Grand Duchess Stéphanie attended an academic meeting held for the 10th anniversary of Schengen Lyzeum at German-Luxembourgish-Schengen Lyceum in Perl, Germany. Countess Sophie of Wessex, was in attendance at the ceremony that bid farewell to the Headley Court, which will be moving to its new home in Loughborough in late 2018. Today marks the beginning of Headley Court’s final year. The occasion was celebrated with a parade and Church service at St Martin’s Church in Dorking. 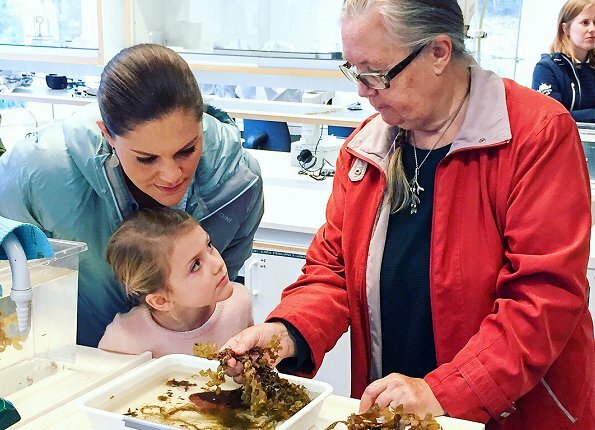 On September 29, 2017, Crown Princess Victoria and her daughter, Princess Estelle visited the Askö Laboratory at Stockholm University Baltic Sea centre in Trosa. Askö Laboratory it coordinates Swedish marine research and environmental monitoring. The laboratory is one of Stockholm University’s Marine Research Center. 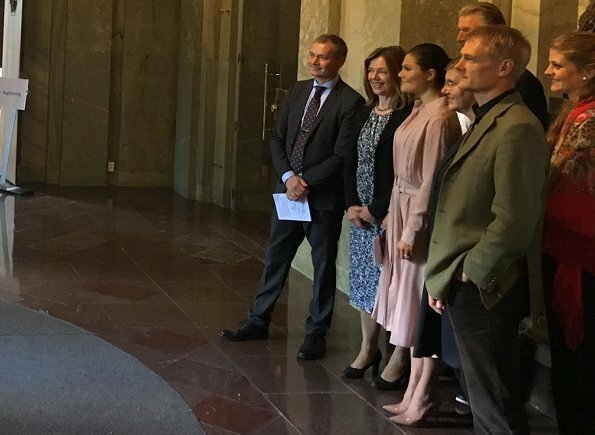 On September 7, 2017, Crown Princess Victoria of Sweden attended a meeting with Swedish Cancer Association at Stockholm Royal Palace. The meeting was about 2017 Rosa Bandet Campaign. 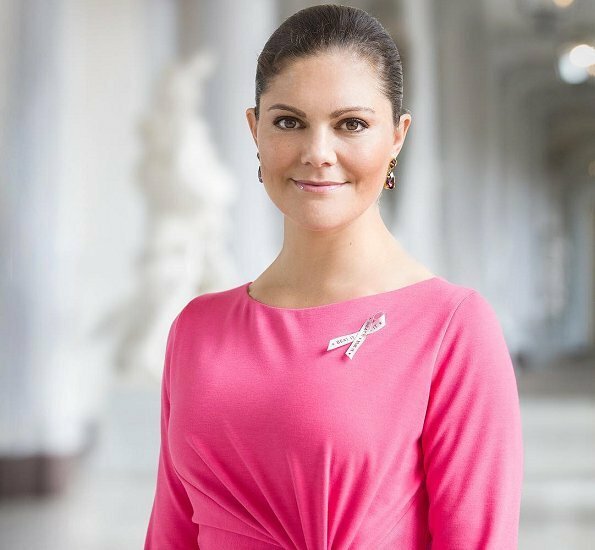 The Crown Princess became the official patron of Pink Ribbon 2017 (Rosa Bandet 2017) Campaign of Swedish Cancer Association. 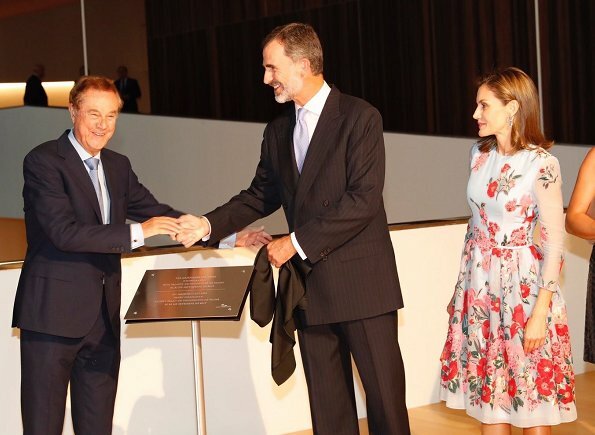 On September 28, 2017, Grand Duchess Maria Teresa of Luxembourg attended opening of autism dormitory built by Autism Foundation of Luxembourg (FAL) in Rambrouch. That dormitory is the 2nd dormitory opened by Autism Foundation of Luxembourg, the first dormitory was opened in Munshausen in 2002. That new residence consisting of 24 beds hosts adults with autism who join workshops organized according to their talents and area of interests. On September 26, 2017, Hereditary Grand Duke Guillaume and Hereditary Grand Duchess Stephanie attended the concert of the Young Belgian Strings (YBS) held at The Philharmonie Concert Hall in Kirchberg district of Luxembourg. The Young Belgian Strings is a chamber orchestra composed of 21 young talents issuing from the different string sections of all the Royal Conservatories and Music Schools of Belgium. 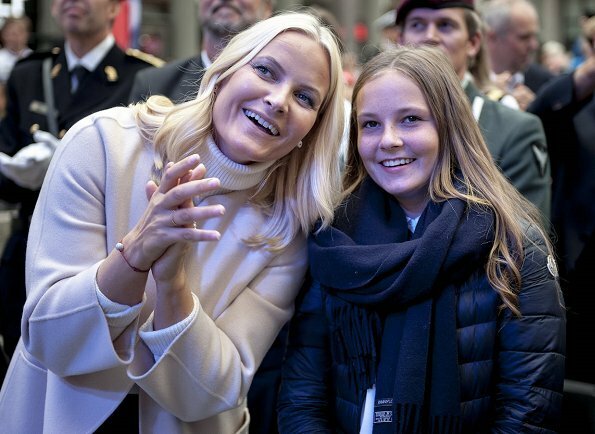 Crown Princess Mette-Marit of Norway visited a apple-picking project 'Lif Laga' at the Høybråten Sports Park in Oslo. Høybråten is a residential area in the north-eastern part (Stovner bydel) of Oslo. 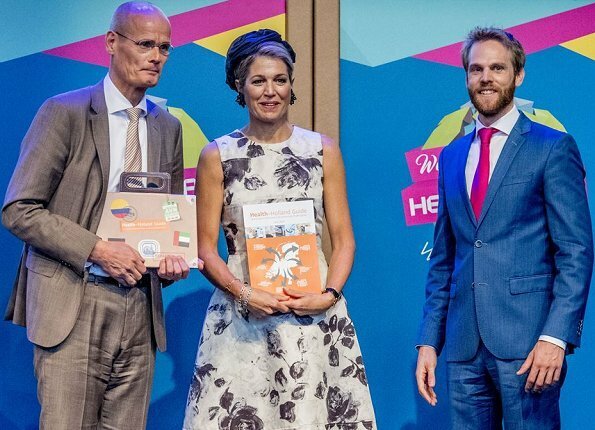 On September 28, 2017, Queen Maxima of The Netherlands visited the Smart Solutions Expo and the panel session 'Lets go Global Health' at the World of Health Care congress in the Fokker Terminal in The Hague, Netherlands. Theme of the congress is to improve world health by connecting international care issues to Dutch solutions. 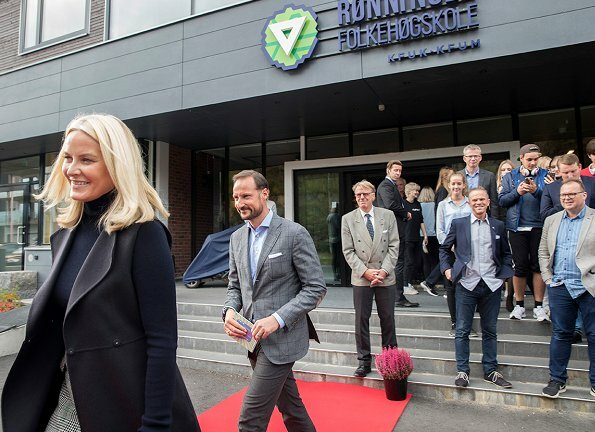 On September 28, 2017, Crown Prince Haakon and Crown Princess Mette-Marit of Norway visited Rønningen college (Rønningen folkehøgskole) in Oslo. Rønningen is a boarding school in the Nordic Folk High School tradition. The school can accommodate up to 190 students in the boarding houses. Students come from all over Norway and many other parts of the world, creating a multi-cultural environment. Japan's Prince Akishino and his wife Princess Kiko are in Chile on an official visit to mark 120 years of ties between the countries. 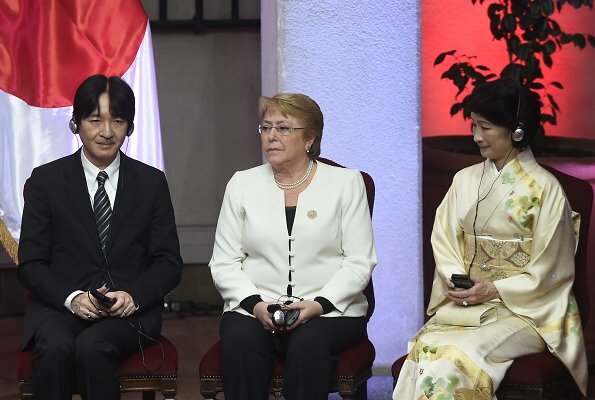 Prince and Princess Akishino and Chilean President Michelle Bachelet attended the ceremony marking the 120th anniversary of diplomatic relationship between Chile and Japan on September 27, 2017 in Santiago. 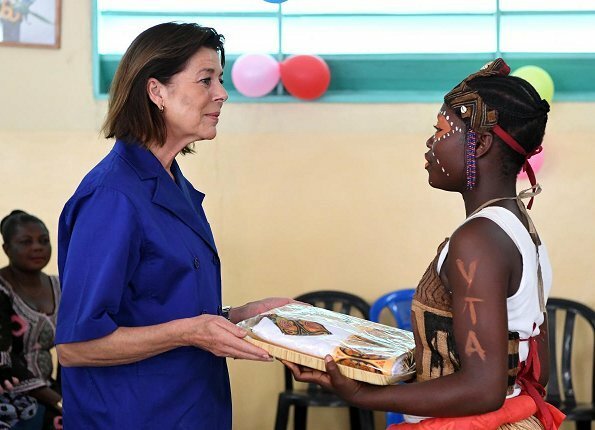 President of the World Association of Children's Friends (AMADE), Princess Caroline of Hanover visited the Kinshasa city in the Democratic Republic of Congo. As part of her work with AMADE, Princess Caroline on a visit to the Kinshasa to see the progress of the Association’s programs. AMADE is an NGO with international recognition. 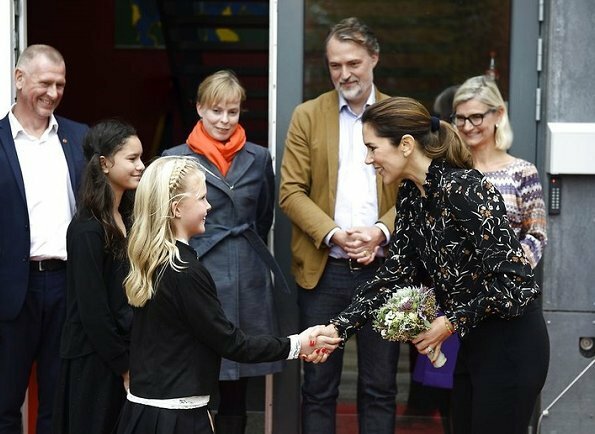 On September 27, 2017, Crown Princess Mary attended a event on "fight against child marriage" together with "Save The Children (Red Barnet)" organization and Danish Development Cooperation Minister Ulla Tørnæs at Hedegårdenes School in Roskilde. Princess Mary wore a Sloan leaf print silk Blouse by Isabel Marant. 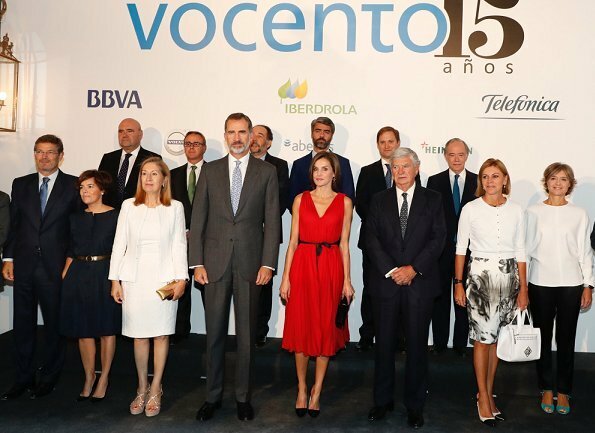 On September 27, 2017, Queen Letizia of Spain attended the opening of vocational training course 2017/2018 at the Segundo de Chomon Secondary School in Teruel, Spain. 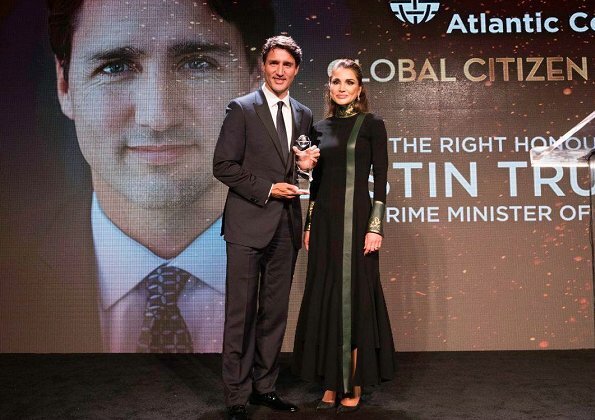 Queen Letizia wore a new Mango trousers, and a new Hugo Boss silk blouse. 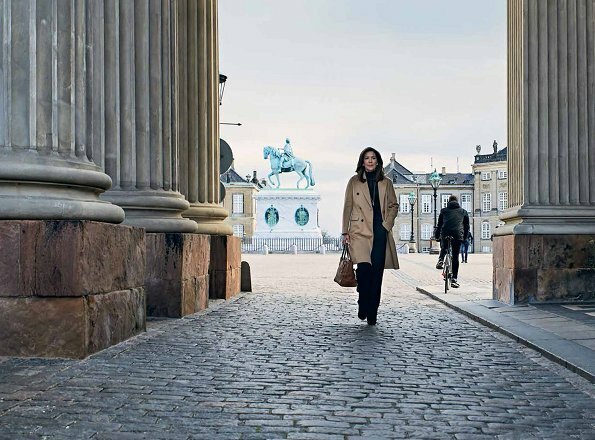 Crown Princess Mary of Denmark gave an interview for the latest issue of Ud & Se magazine. Available for free on any DSB train in Denmark, Ud&Se is one of Denmark's biggest magazines with an estimated count of readers at around 700.000. On September 27, 2017, Queen Mathilde of Belgium and King Philippe of Belgium, Grand Duke Henri of Luxembourg and Grand Duchess Maria Teresa of Luxembourg, Hereditary Prince Alois of Liechtenstein and Hereditary Princess Sophie of Liechtenstein attend the 14th informal meeting of the Chiefs of State of the German Speaking countries at the Neumunster Abbey in Luxembourg. Germany, Austria, Switzerland, Liechtenstein and Belgium are invited to the meeting held in Luxembourg. 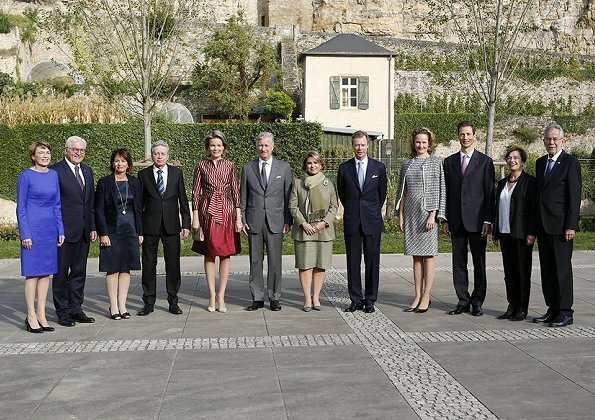 The heads of State will visit Philharmonic and the Mudam Museum today. Queen Silvia of Sweden received the 'Theodor Wanner Award 2017', with a ceremony held at the Allianz Forum in Berlin. The prize is awarded since 2009 to those who significantly contribute with their scientific, social, socio-political, artistic, entrepreneurial or financial expertise to foster dialogue among cultures. 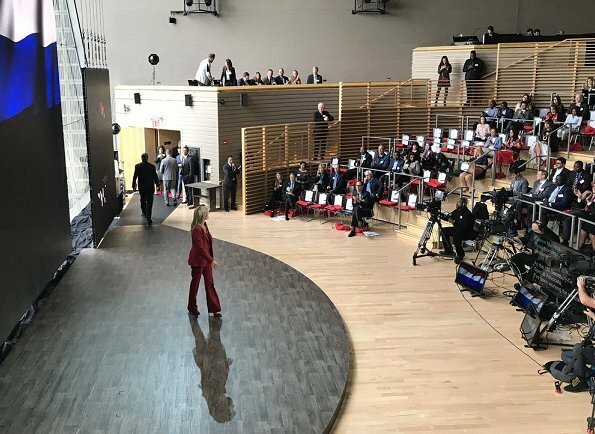 On September 26, 2017, Crown Princess Mary of Denmark attended the the DI Business Summit 2017 (DI Topmødet 2017) held at Opera House in Copenhagen. 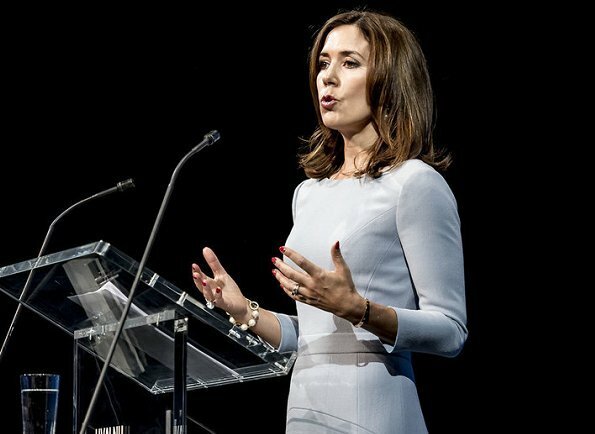 The Crown Princess gave a speech at the Danish Industry's Summit. DI Business Summit is an annual event hosted by Confederation of Danish Industry (DI). On September 26, 2017, Queen Silvia of Sweden visited the "Century of the Child" exhibition held at Nordic Embassies in Berlin, Germany. 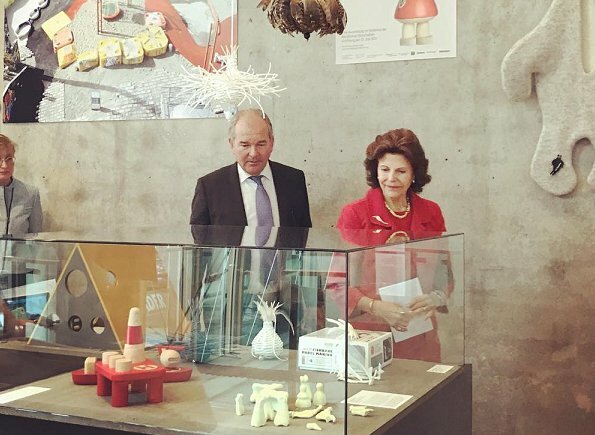 Queen Silvia visits Berlin in order to receive the Theodor Wanner Prize. 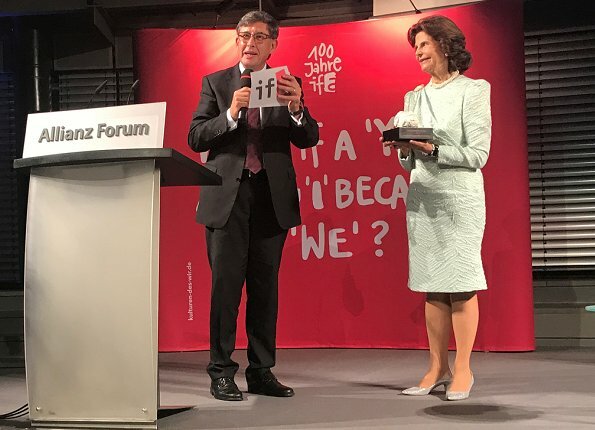 Queen Silvia will donate the prize money to Sociedade Beneficente Alemã (German Relief Society) in São Paulo. 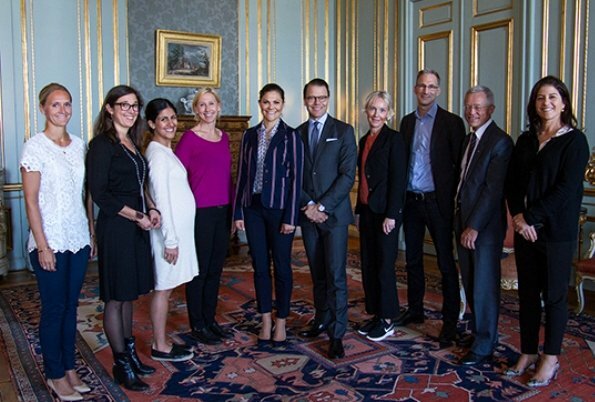 On September 26, 2017, Crown Princess Victoria of Sweden and Prince Daniel of Sweden hosted a lunch for Expert Council of The Swedish Crown Princess Couple's Foundation at the Royal Palace of Stockholm, Sweden. The lunch was attended by Elin Annwall, Lena Hök, Golnaz Hashemzadeh Bonde, Pernilla Bard, Lena Green, Johan Oljeqvist, Nils Lundin and Dilsa Demirbag-Sten. 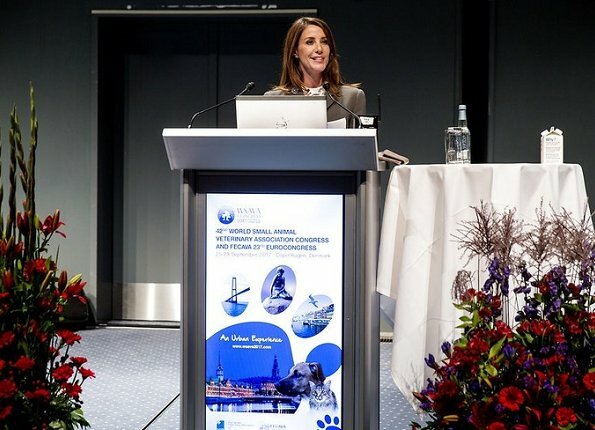 On September 25, 2017, Princess Marie of Denmark attended opening of the 42nd Small Animal Veterinary Euro- and World Congress (WSAVA/FECAVA) that was held at the Bella Center in Copenhagen. The World Small Animal Veterinary Association (WSAVA) is an association of associations. 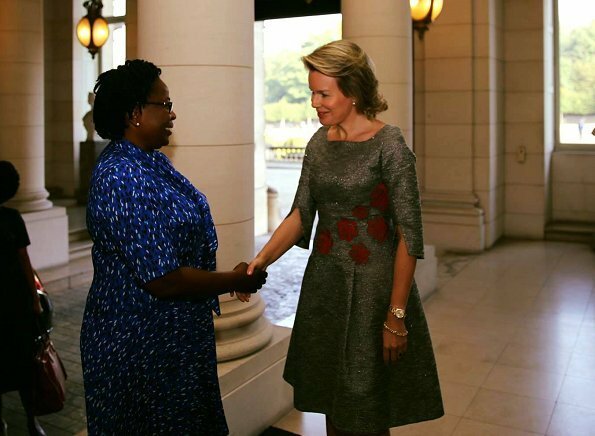 On September 26, 2017, Queen Mathilde of Belgium met with First Lady Claudine Gbènagnon Talon of the Republic of Benin at the Royal Palace in Brussels. Mrs. Talon is presently in Brussels for a two days visit. First Lady of Benin founder the Claudine Talon Foundation to improve the lives of women and children across the country. 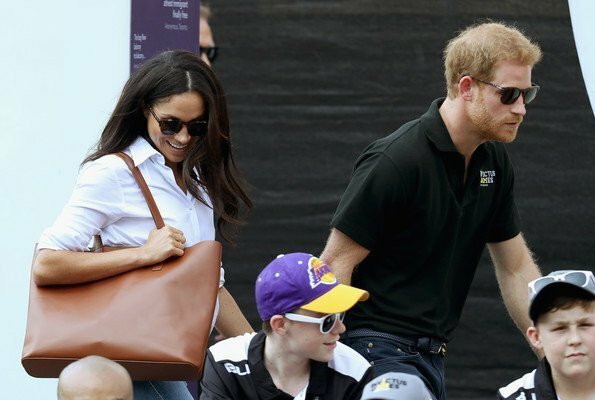 On September 25, 2017, Britain's Prince Harry and Meghan Markle watched Wheelchair Tennis match on day 3 of the Invictus Games Toronto 2017 at Nathan Philips Square in Toronto, Canada. On September 25, 2017, Crown Princess Mary of Denmark attended a working meeting at DRC headquarters in Copenhagen, with the Danish Refugee Council (DRC) on the current refugee situation and on the organization's ongoing work. At the working meeting some information about the project "MindSpring" and on the "Danish Refugee Aid's" forward-looking strategies was given to the Crown Princess. 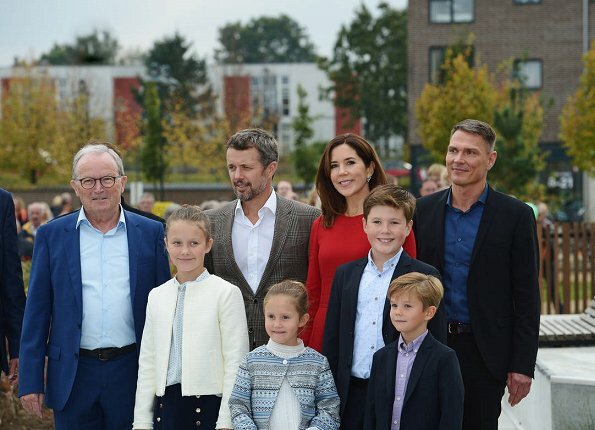 Yesterday, Prince Carl Philip, Princess Sofia and Prince Alexander of Sweden attended the Aurora17 military event held at Gärdet area (official name is Ladugårdsgärdet) in Östermalm, Stockholm. 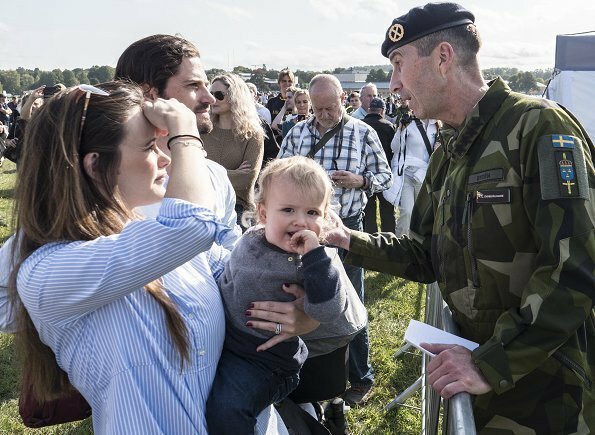 Aurora 17 is an ongoing military exercise taking place in Sweden, during a three-week period, from 11 through 29 September 2017. 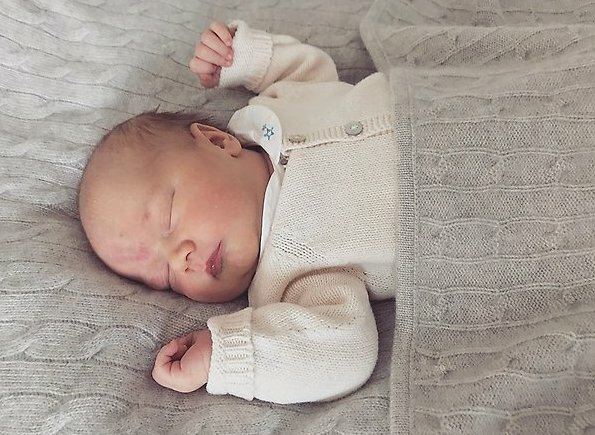 Sweden Royal Palace announces Prince Gabriel's christening today. 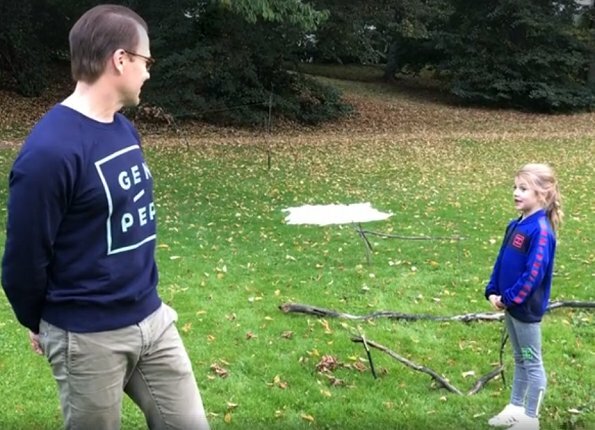 The baptism of Prince Gabriel of Sweden, who is the second son of Prince Carl Philip and Princess Sofia of Sweden will be held on December 1, 2017, Friday at Drottningholm Palace Church. Prince Gabriel Carl Walther was born on 31 August 2017 at Danderyd Hospital. On September 23, 2017, Britain's Prince Harry and Meghan Markle attended the opening ceremony on day 1 of the Invictus Games Toronto 2017 held at Air Canada Centre in Toronto, Canada. 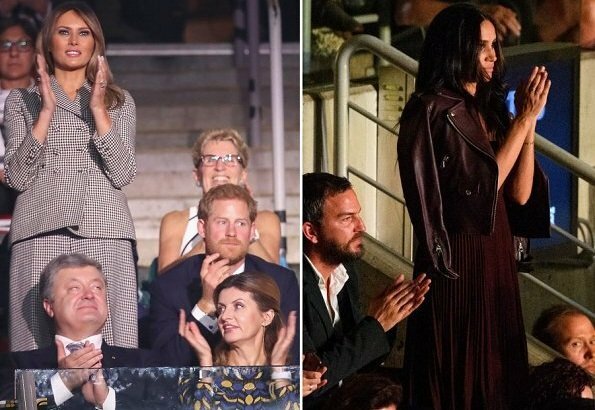 Suits actress Meghan Markle was seated with friend Markus Anderson during the Invictus Games opening ceremony while Prince Harry sat with U.S. First Lady Melania Trump and Canadian Prime Minister Justin Trudeau. Still, it was the first public event they've attended together. 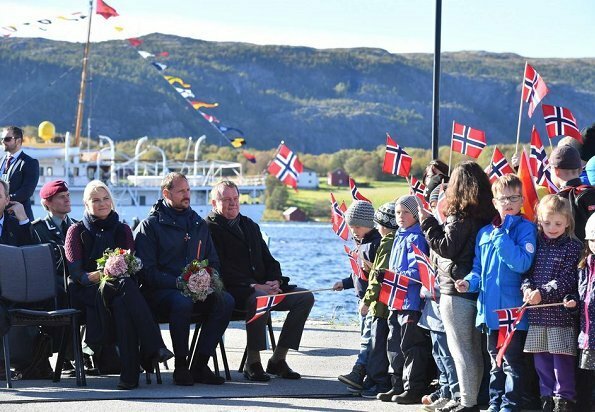 The three-days Nord-Trondelag city tour of Crown Prince Haakon of Norway and Crown Princess Mette-Marit of Norway ended with their visit to Frosta municipality. The Crown Couple visited a soap factory in Frosta and Tautra monastery in Tautra island. Frosta is famous for its scented soap and vegetable farming. On September 22, 2017, King Gustaf and Queen Silvia hosted a Sweden Dinner at the Royal Palace of Stockholm. The aim of the Sweden Dinner is to recognise people who have made significant local, regional or national contributions. The traditional Sweden dinner was attended by Crown Princess Victoria, Prince Daniel and Prince Carl Philip. On September 22, 2017, Princess Charlene of Monaco visited Giorgio Armani and Versace Fashion Shows held within the scope of Milan Fashion Week Spring/Summer 2018 Collection in Milan, Italy. 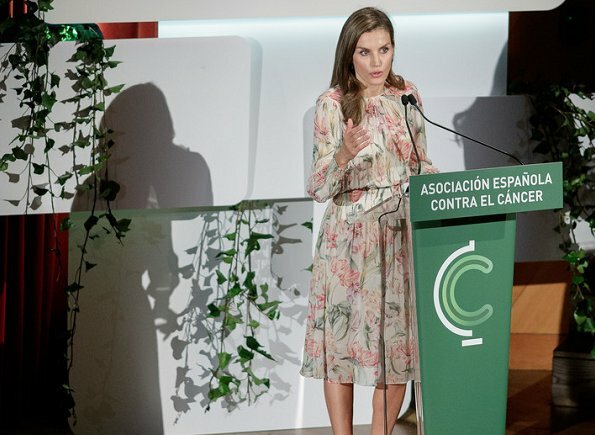 On September 22, 2017, Queen Letizia of Spain attended the 'World Cancer Research Day 2017' event held at El Prado museum in Madrid, Spain. The queen gave a speech at the event. Queen Letizia wore a floral printed dress by Zara. 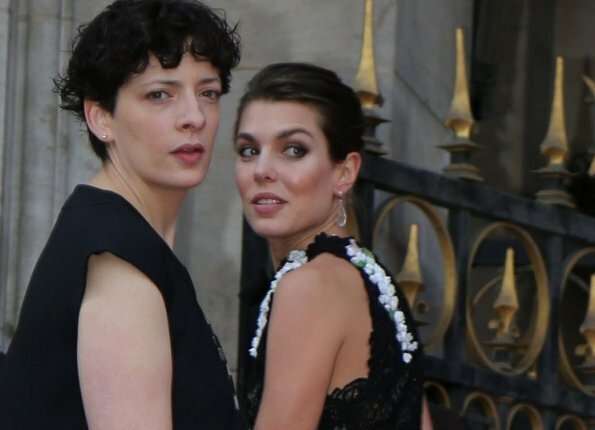 On September 21, 2017, Charlotte Casiraghi attended the opening gala of the new season of Opéra Garnier at Palais Garnier in Paris, France. Charlotte Casiraghi wore a lace dress from Giambattista Valli Haute Couture Fall/Winter 2017-2018 Collection. 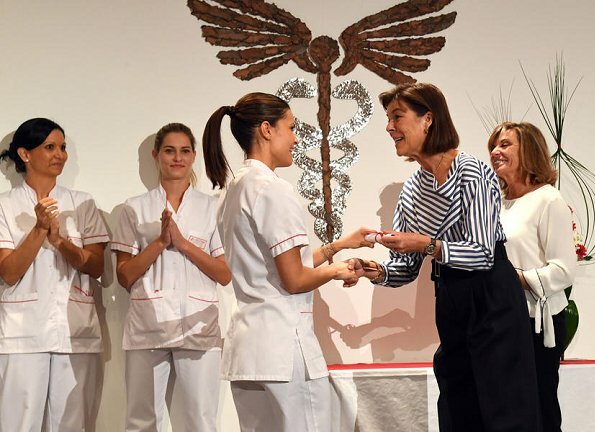 On September 21, 2017, Princess Caroline of Hanover and Minister of Health and Social Affairs - State Counsellor of Monaco Didier Gamerdinger attended diploma and award presentation ceremony held for nurses who have completed nursing education and graduated at Princess Grace Hospital Institute in Monaco. Nord-Trondelag city tour of Crown Prince Haakon and Crown Princess Mette-Marit of Norway goes on. They make the tour by the Royal Yacht (Kongeskipet). Yesterday, on the second day of Nord-Trondelag city tour, the Crown Couple arrived at Fosnes shore and firstly visited Fosnes municipality, Joa nursery and library. Then, the Crown Couple visited the childhood house of Norwegian author Olav Duun in Over-Dun. 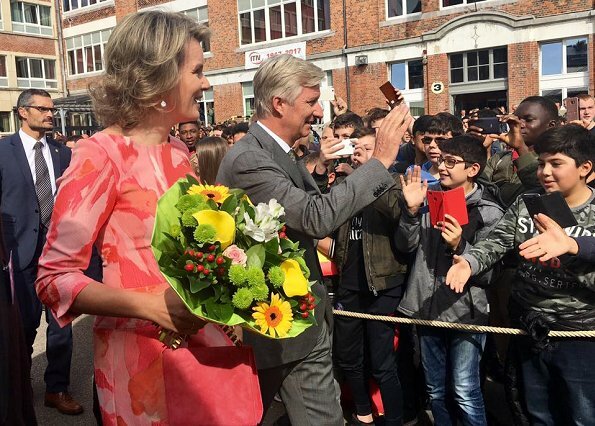 Today, King Philippe of Belgium and Queen Mathilde of Belgium made a series of visit in the Province of Namur. Belgian Royal couple visited the Asty-Mouli school for Wood and Construction Skills in Namur. Afterwards, the Royal Couple made a visit to the Babybus (Bebe Bus) project, a mobile nursery with a social-economic function in Province of Namur, Belgium. 21 September 2017. On September, 21, 2017, Crown Princess Victoria of Sweden attended Gordon Goodman Memorial Lecture 2017 held at the Royal Swedish Academy of Sciences in Stockholm. This annual memorial lecture is in honored of Gordon Goodman, founding director of the Beijer Institute at the Royal Swedish Academy of Sciences from 1977–1989. Crown Princess Victoria wore a pleated silk dress by Ralph Lauren. Duchess of Gotland Princess Leonore visited Gotland and got together with her foal Heidi which is a baptism gift to her. 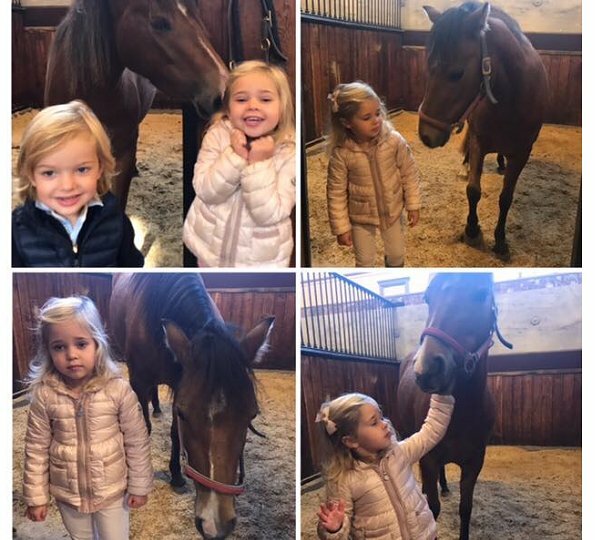 Her mother Princess Madeleine shared on her Facebook account a photo showing Princess Leonore, Prince Nicolas and Heidi together with the title "Leonore finally reunited with Heidi at Gotland!". On September 20, 2017, Grand Duchess Maria Teresa of Luxembourg and FUSE Foundation which provides support for micro-enterprises visited two enterprises that are extented credit by the Foundation. Those enterprises were a hair styling saloon in Petange town (Aux Anges de Petange) in South Luxembourg and a vegan restaurant (Oakbistro) in Gare district. 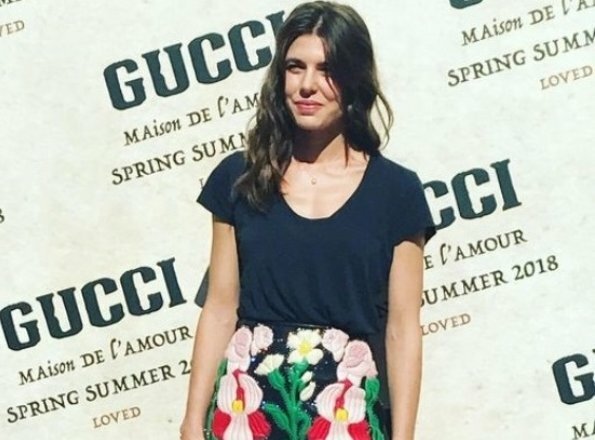 On September 20, 2017, Charlotte Casiraghi visited Gucci fashion show held within the scope of Milan Fashion Week Spring/Summer 2018 Collection in Milan. 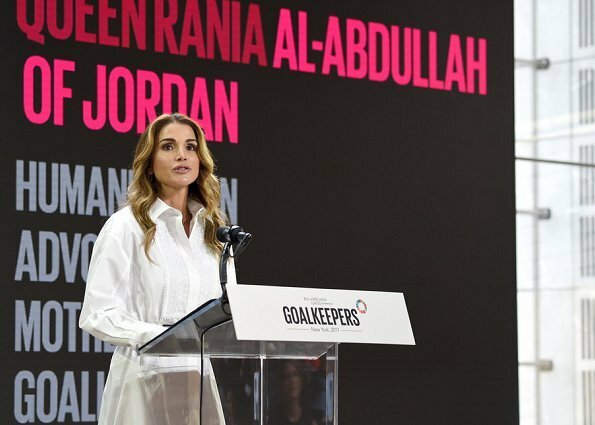 On the second day of Queen Maxima's visit to New York, as the special advocate of United Nations, the Queen attended Goalkeepers 2017 (The Global Goals 2017) event organized by Bill & Melinda Gates Foundation at The Jazz at Lincoln Center in New York City. The Queen gave an speech at the seminar. Also, Queen Maxima met with Ivanka Trump. 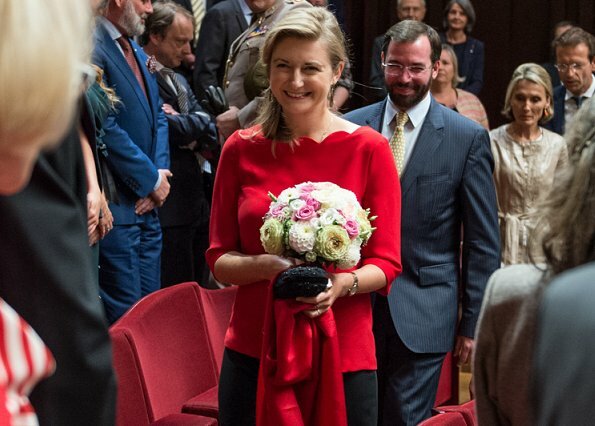 Queen Maxima wore a red blazer & trousers & blouse by Claes Iversen. Norwegian Crown couple's three days visit to Nord-Trøndelag started. 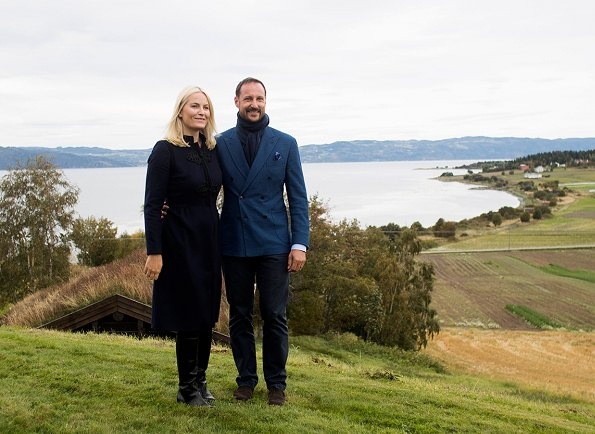 Today, Crown Prince Haakon and his wife Princess Mette-Marit visited Namsskogan, Grong and Namsos. The Couple will visit Fosnes, Flatanger and Frosta tomorrow and next day.